For the first time at GDC, the NVIDIA Deep Learning Institute will be hosting two half-day workshops consisting of a seminar, hands-on lab, and Q&A session on Tuesday, February 28th targeted at game developers who wish to gain insight into the principles of deep learning and its applications. NVIDIA instructors will cover fundamental concepts of deep learning, real-world examples of its use in industry, and solidify the concepts with a hands-on lab where attendees will train, modify and test their own deep neural network. 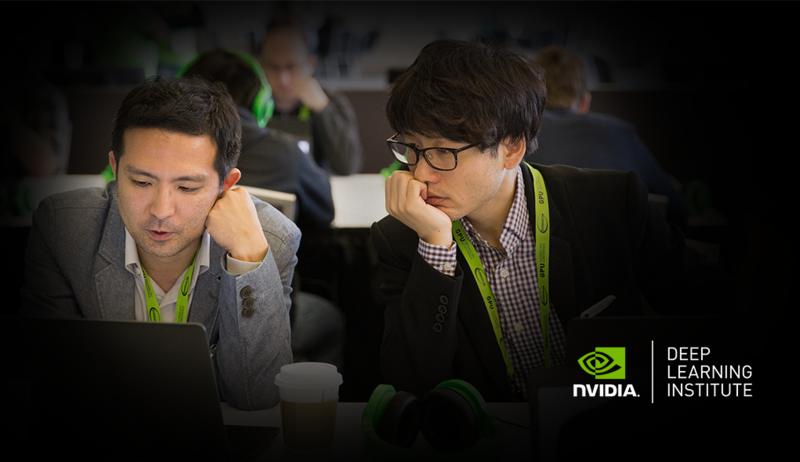 Space is limited and each NVIDIA Deep Learning Institute Workshop at GDC participant must bring their own laptop to the event in order to run the lab. Wednesday, March 1st from 9:30-10:30 AM: Introduction to Deep Learning — Bryan Catanzaro, VP Applied Deep Learning Research at NVIDIA shares how to leverage deep learning to create, develop, market, run and tune higher quality and more appealing games for mobile, console and PC. Wednesday, March 1st from 11:00-12:00 PM: Zoom, Enhance, Synthesize! Magic Image Upscaling and Material Synthesis using Deep Learning – NVIDIA engineers will discuss “image synthesis” techniques and demonstrate their application in image magnification to enable “super resolution” tools. They will also talk about recent discoveries by NVIDIA Research that uses AI, machine learning and deep learning based approaches to greatly improve the process of creating game-ready materials.